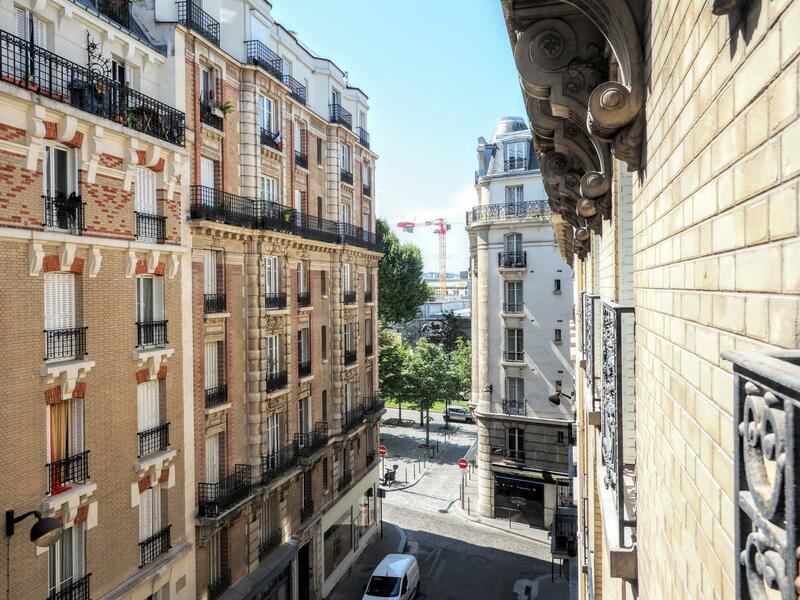 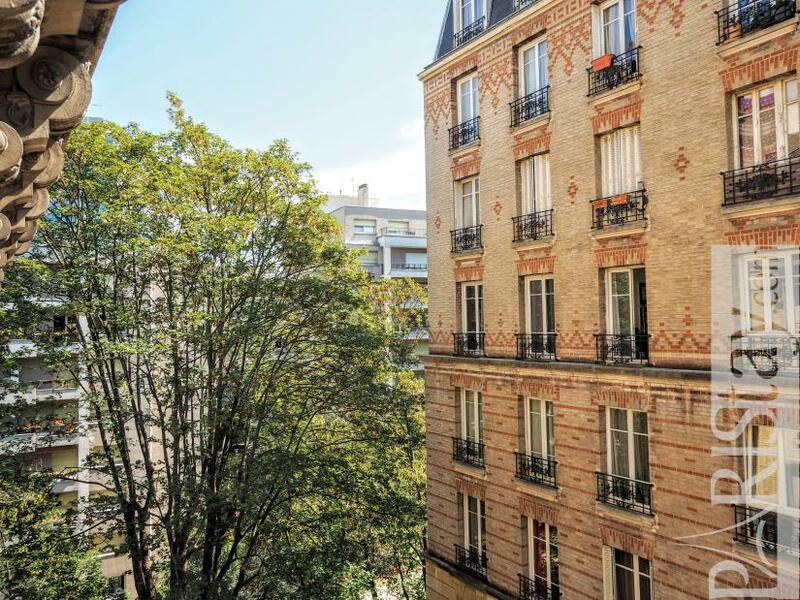 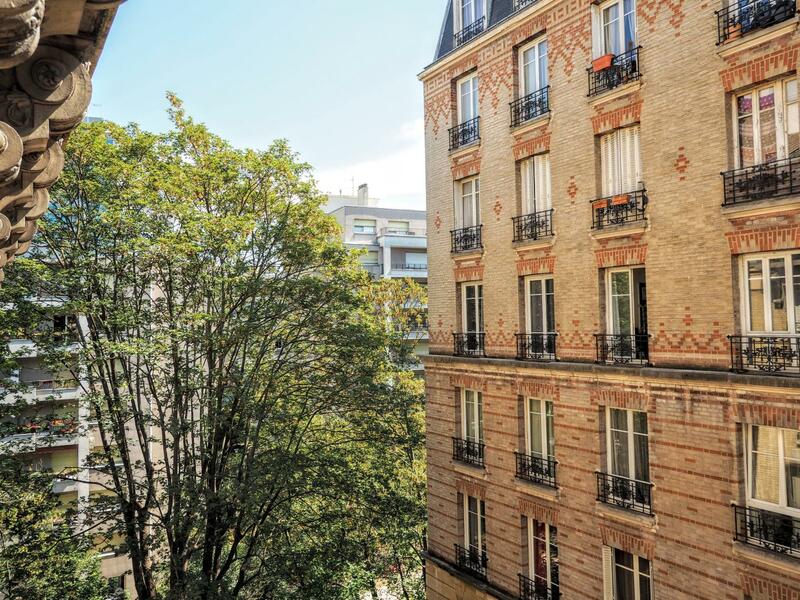 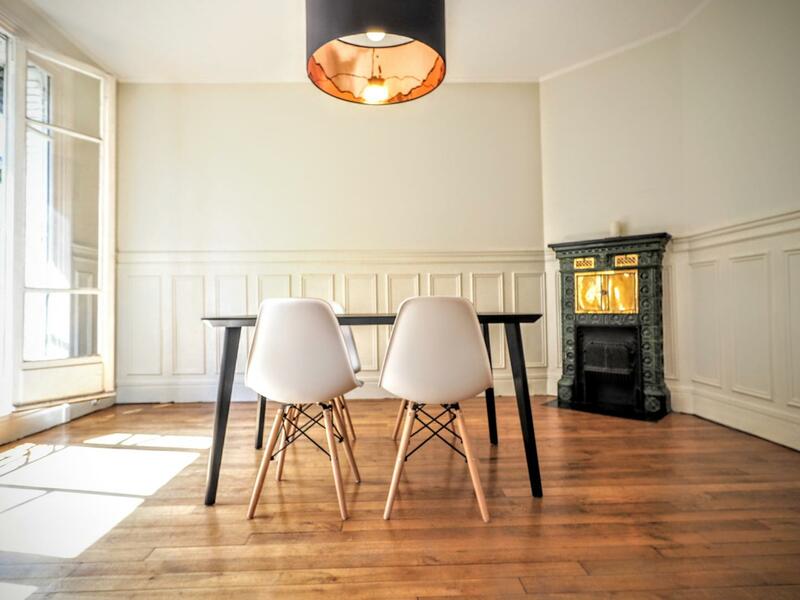 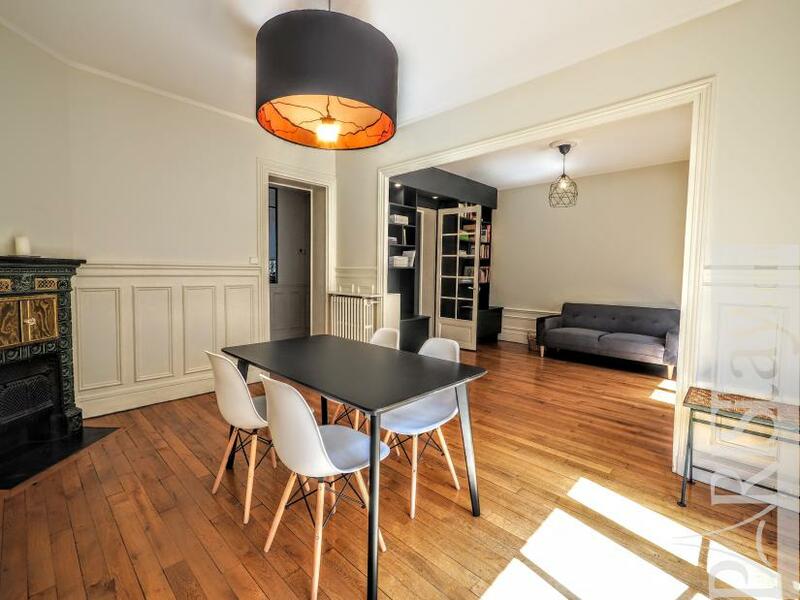 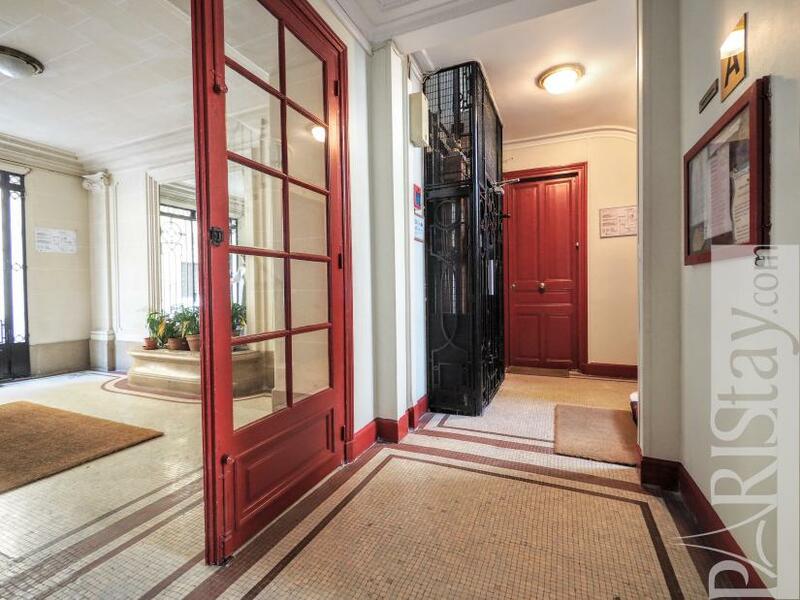 Here is a spacious, bright and quiet 2 bedroom apartment located in the residential 15th arrondissement, a few steps form the Paris Conventrion Center (Parc des Exposition de Paris Porte de Versailles). It is situated on the 4th floor with lift of a charmling hausmannian building. 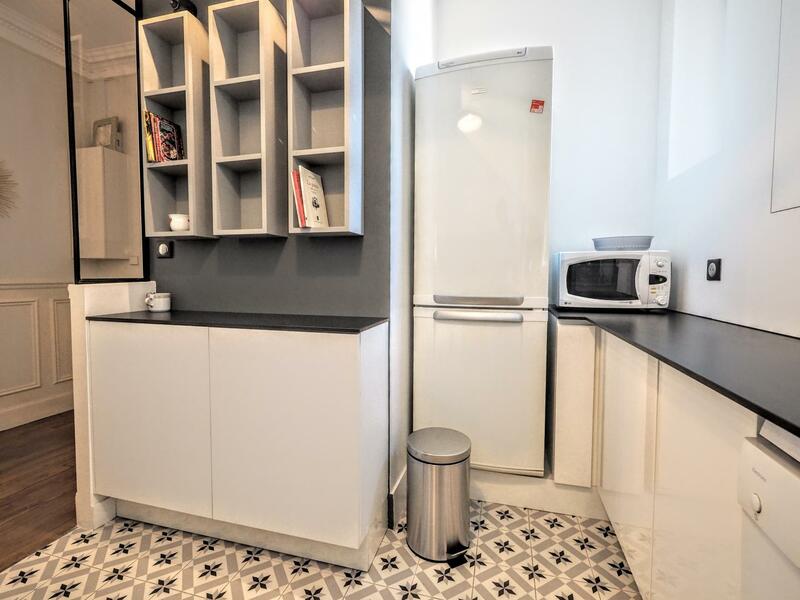 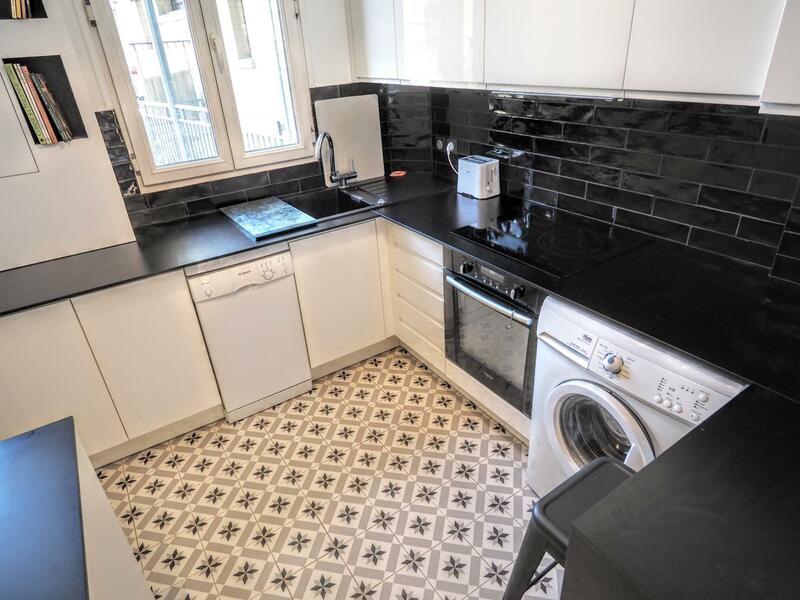 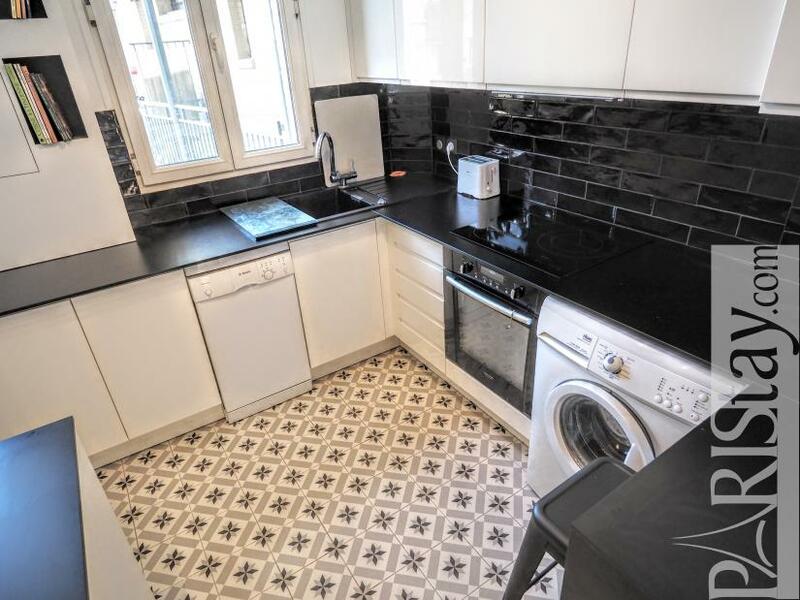 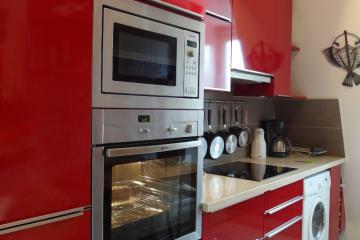 This flat has been totally renovated and tastefully design to offer a warm contemporary decoration. 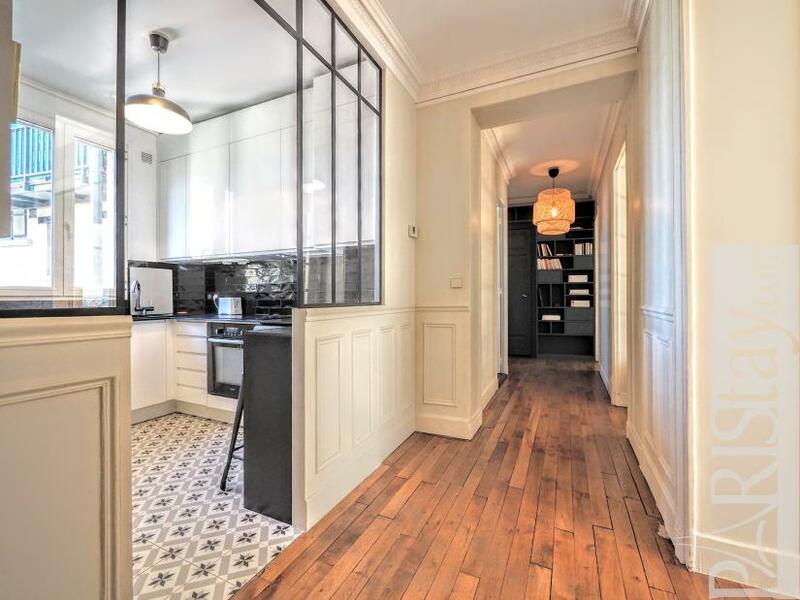 the entrance offers a glass wall that separates a fully equipped kitchen, and leads to the other rooms. Spacious double living room offering beautiful hardwood floors, 2 large windows, a dining area with a typical decorative firework. 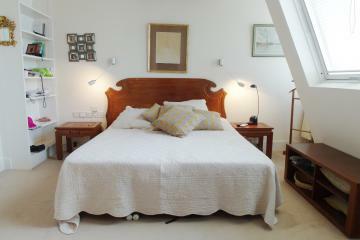 Master bedroom with a double bed, second bedroom actually with a single bed but could also be a double bed if needed. 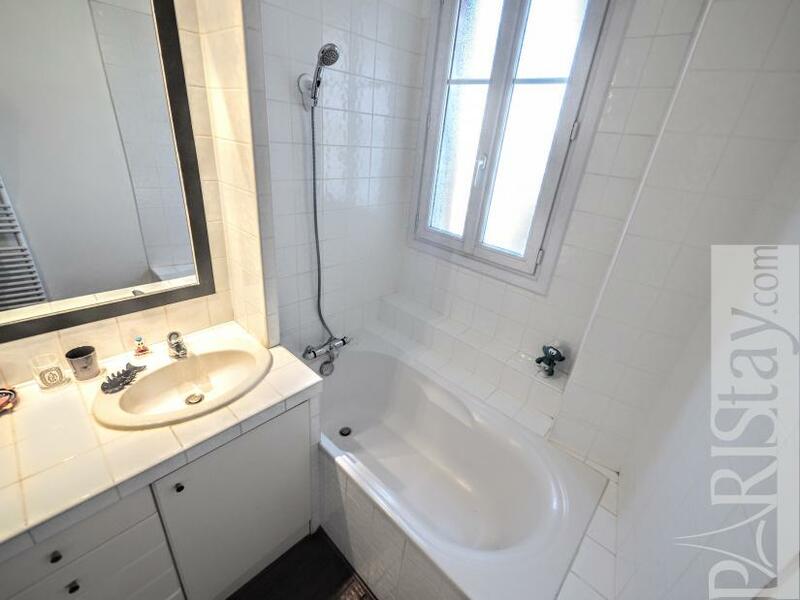 Separate bathroom with a bath tub, 2 sinks and a washing machine. 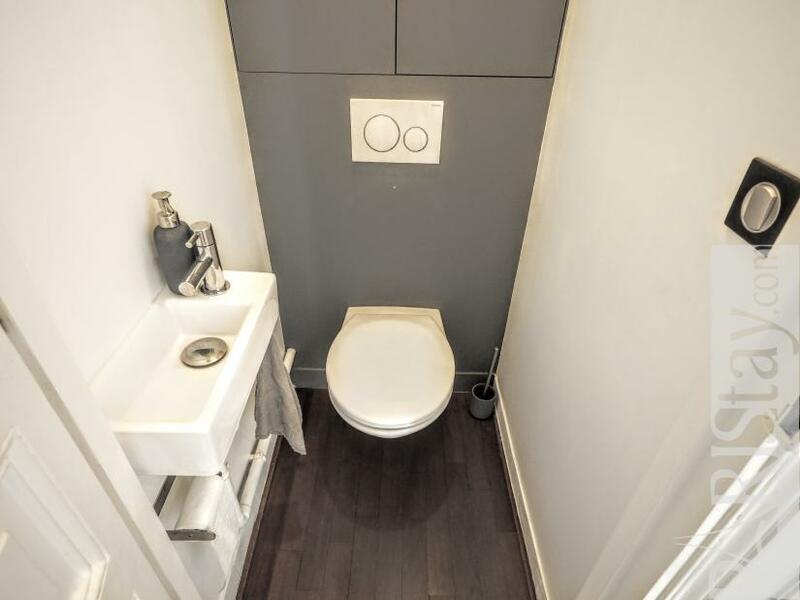 Separate toilets in the entrance. 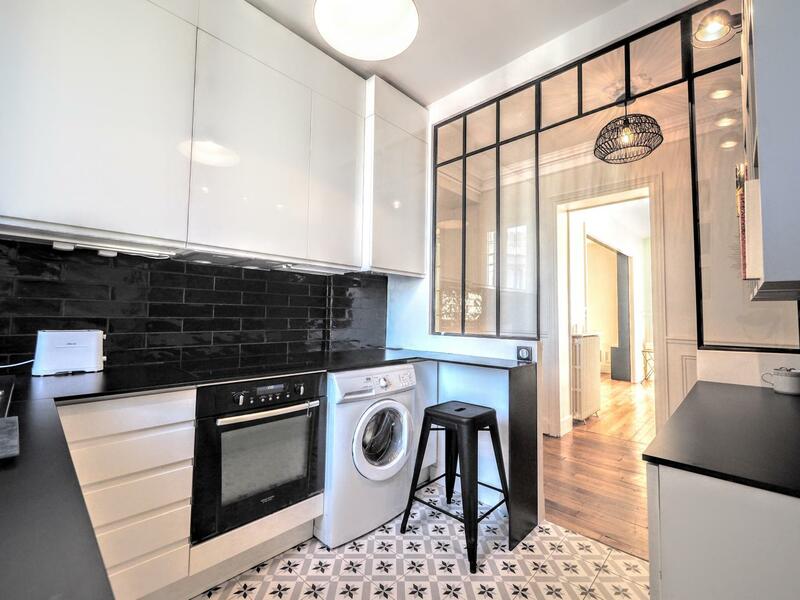 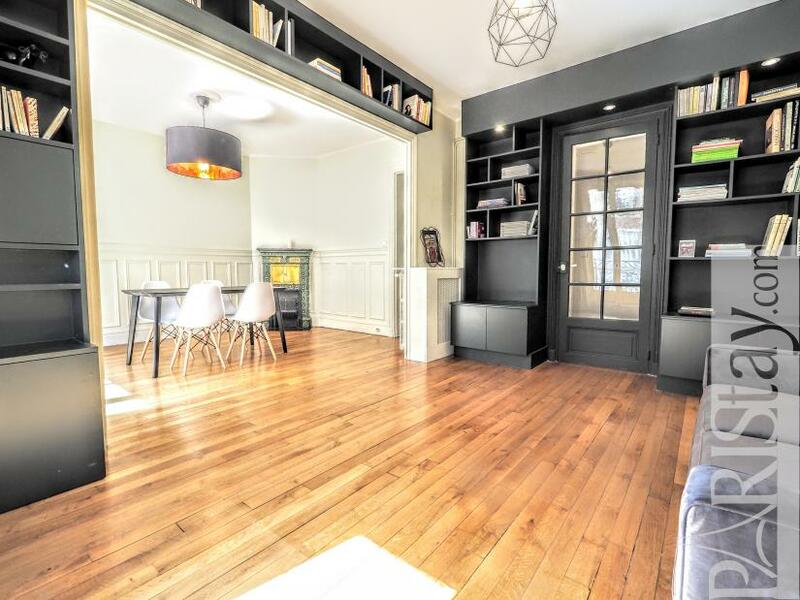 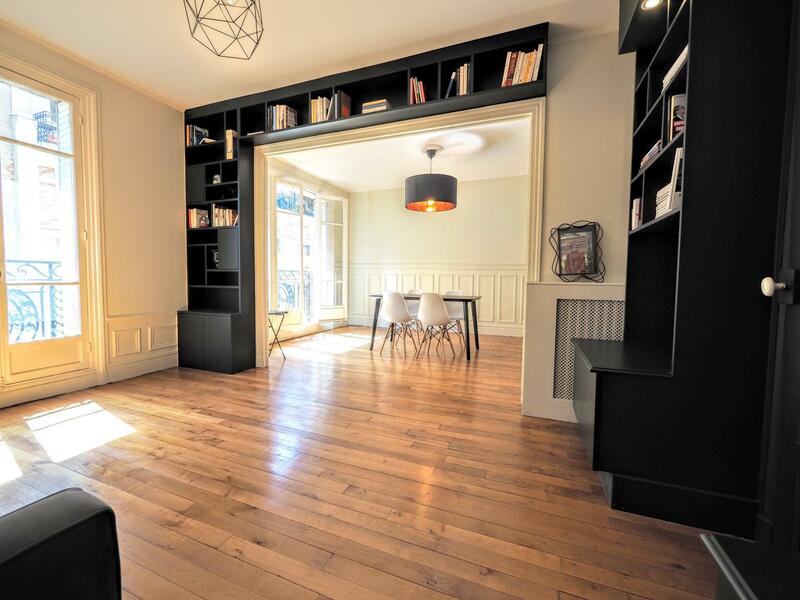 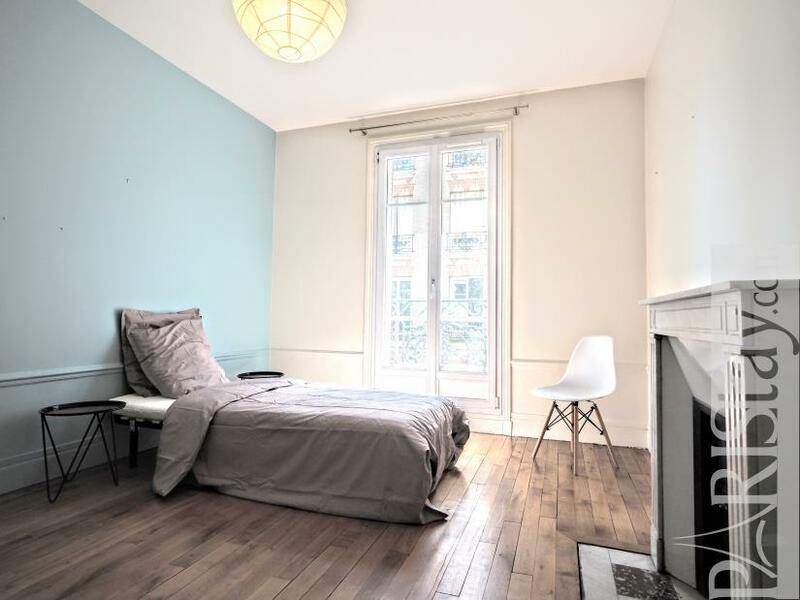 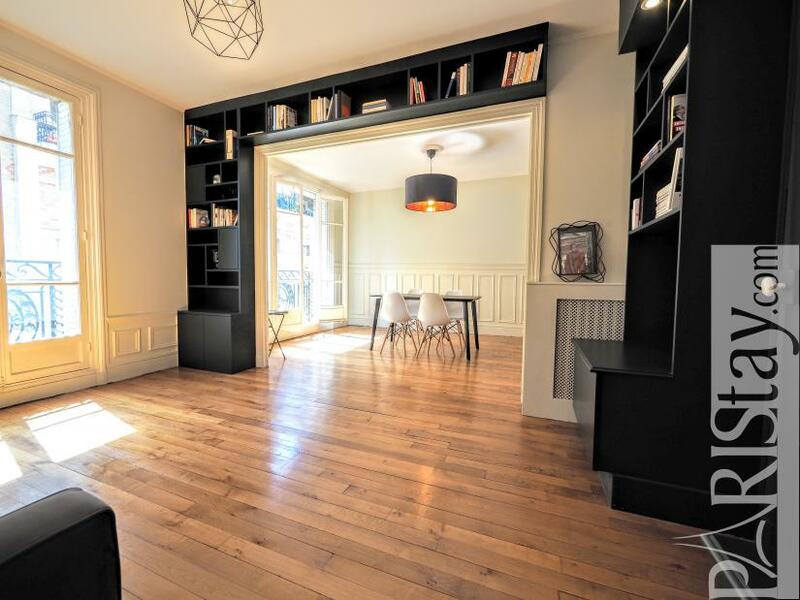 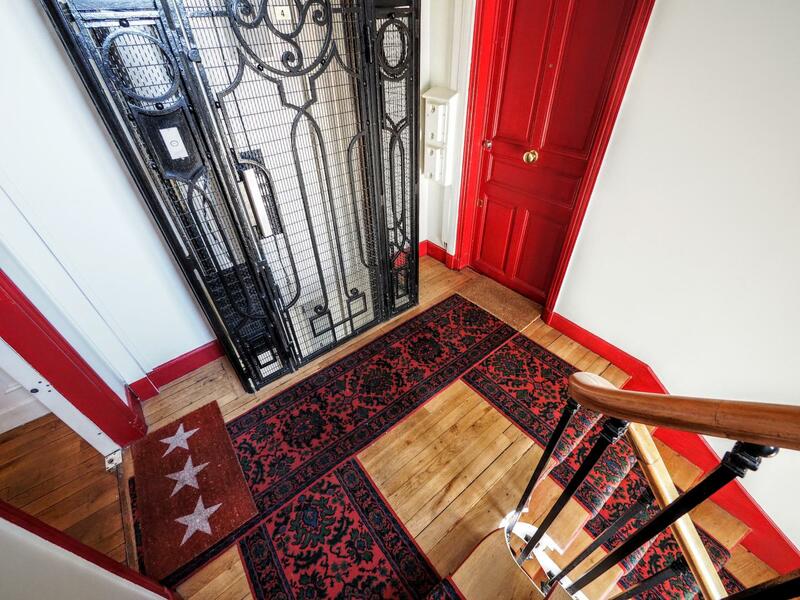 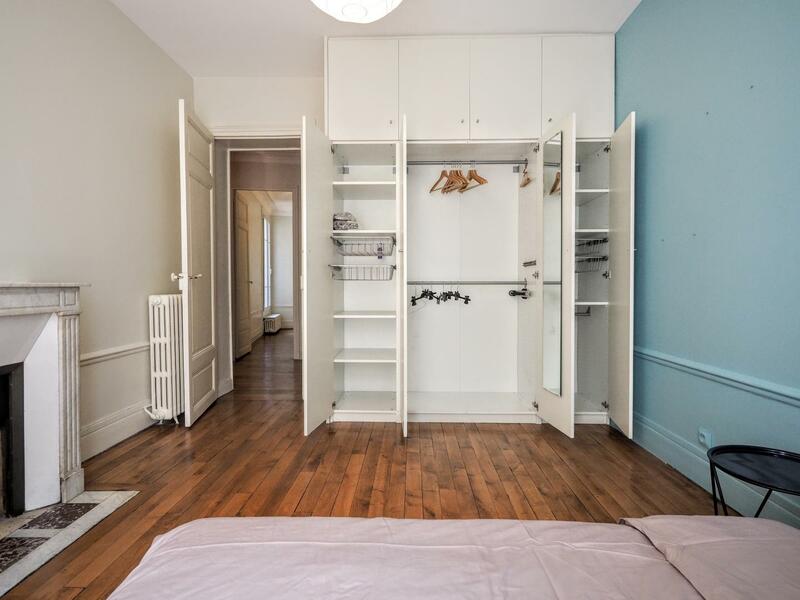 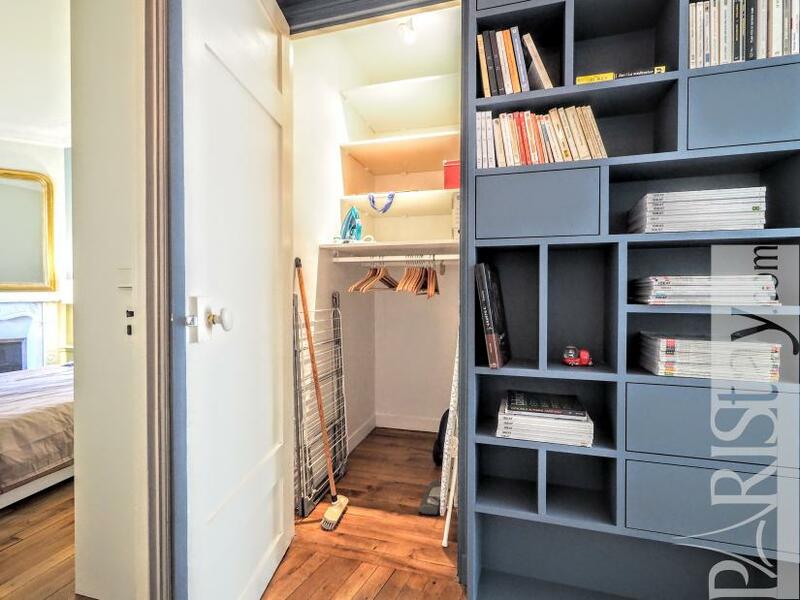 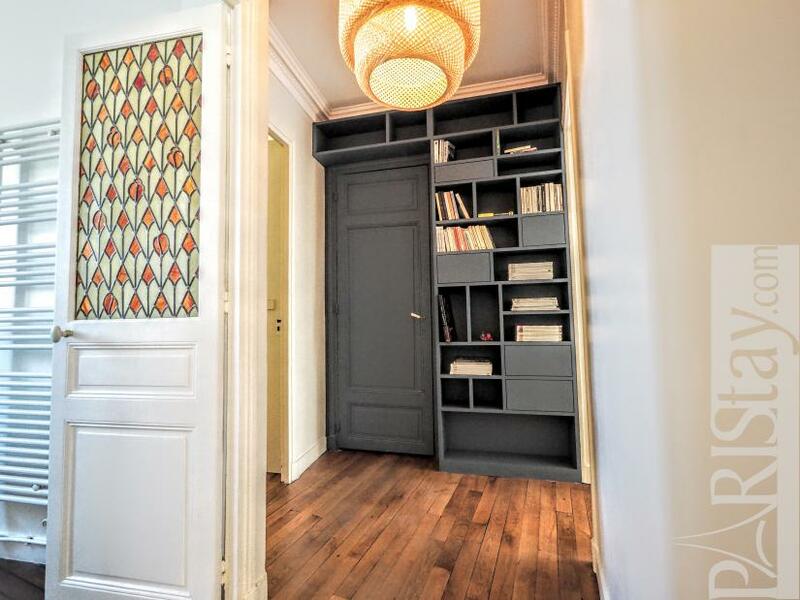 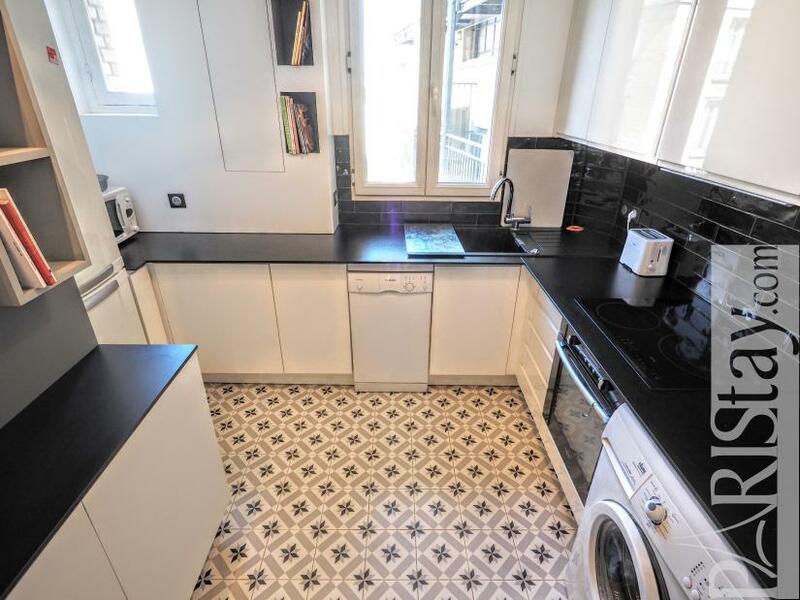 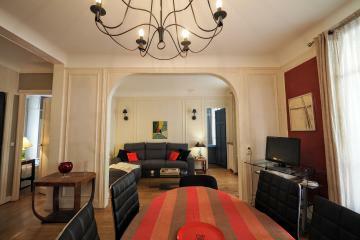 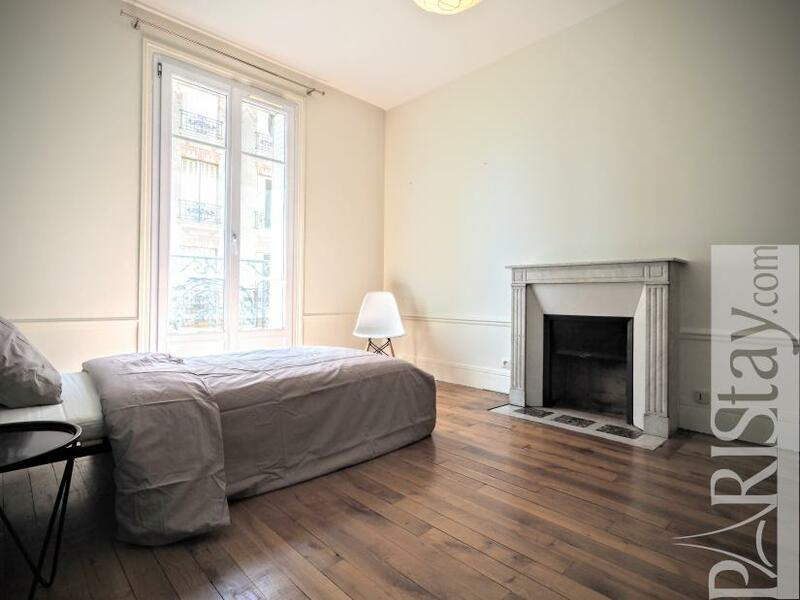 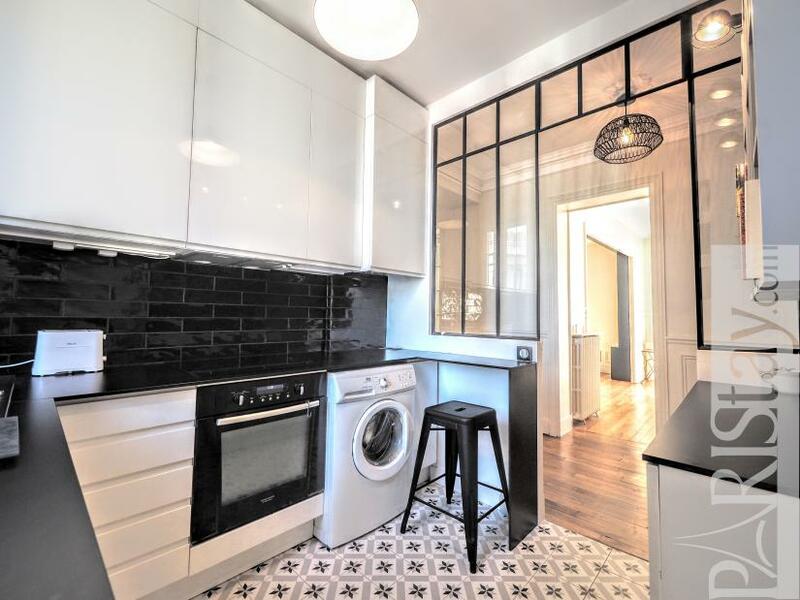 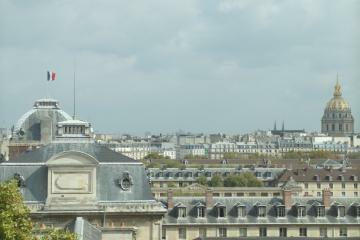 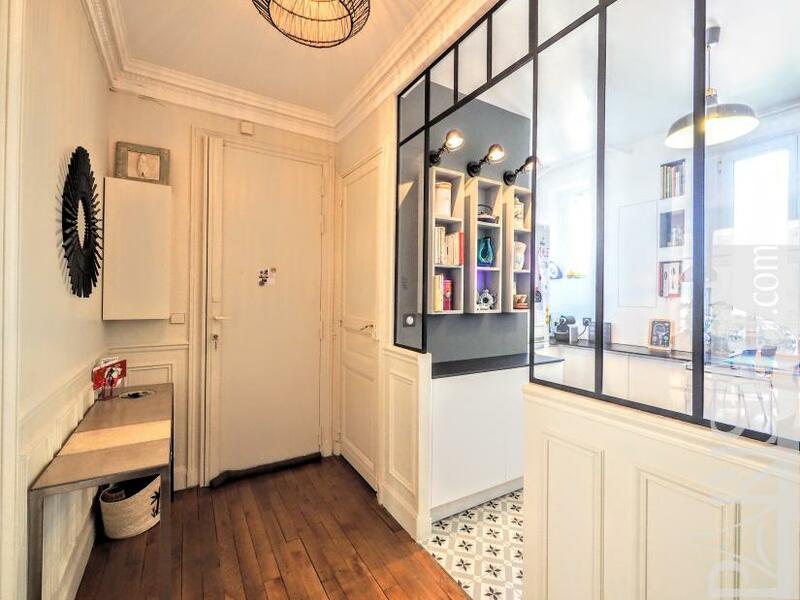 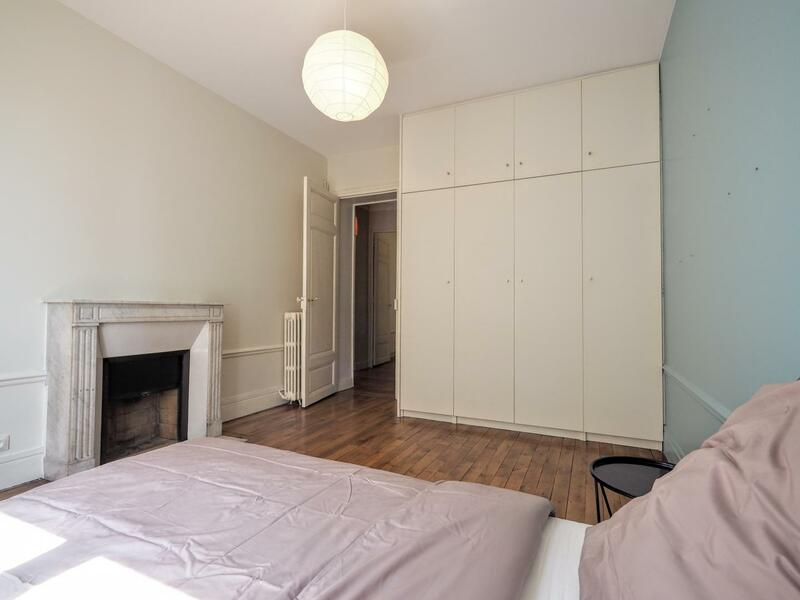 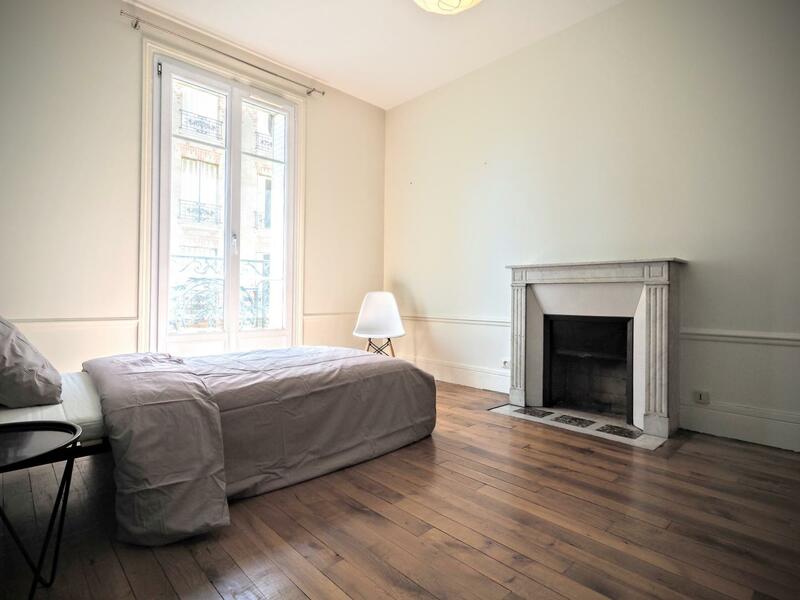 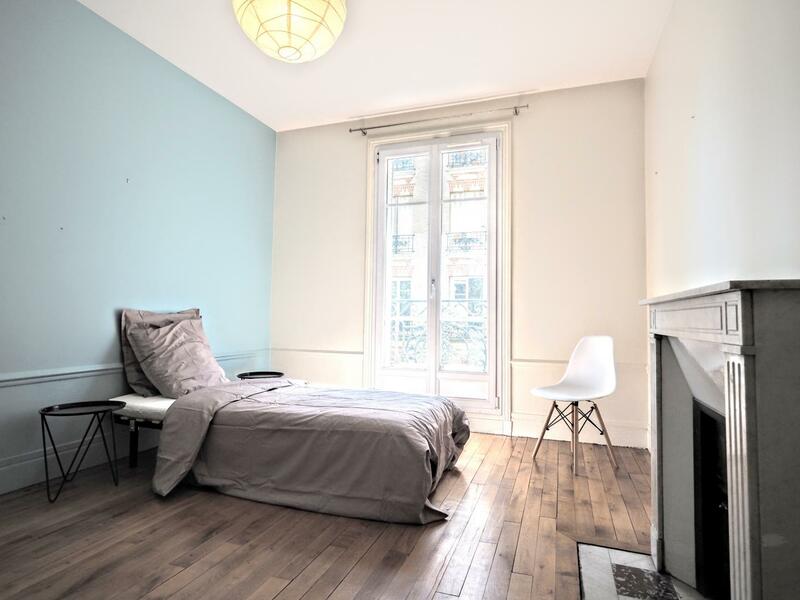 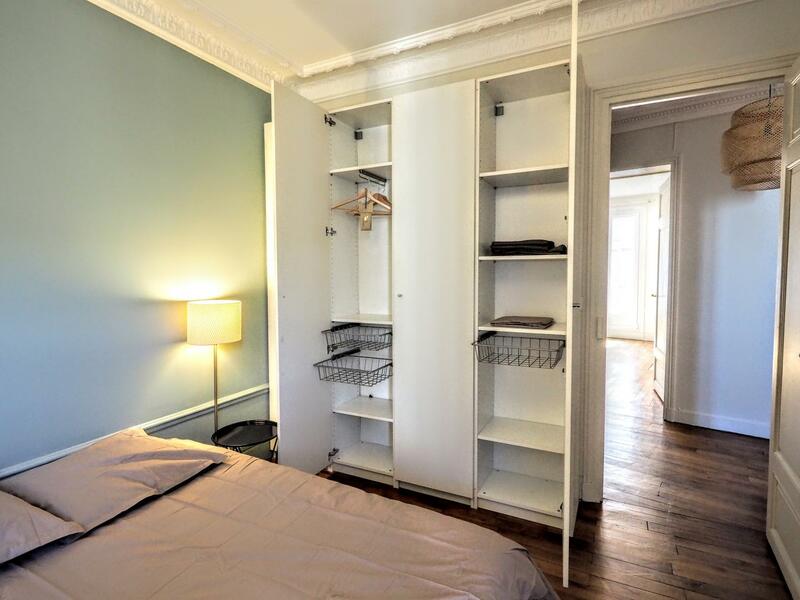 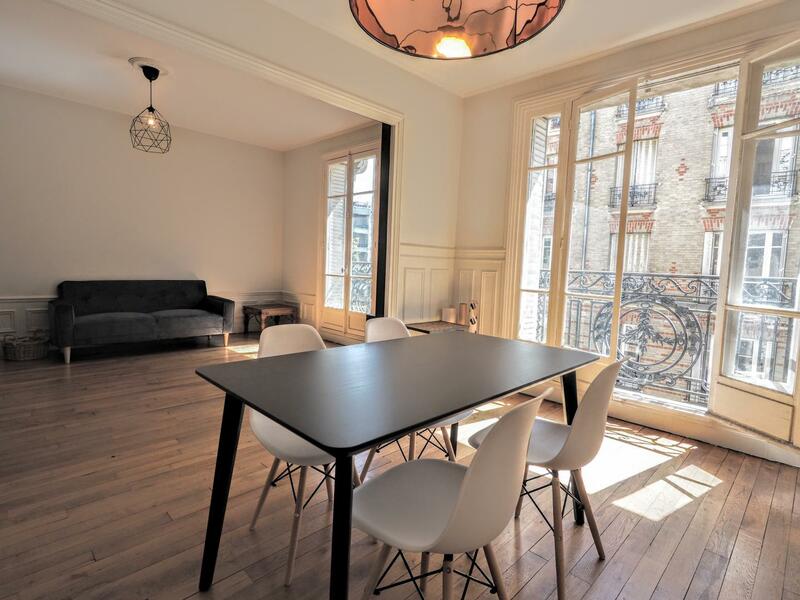 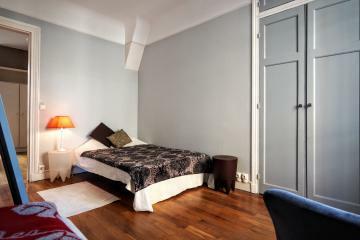 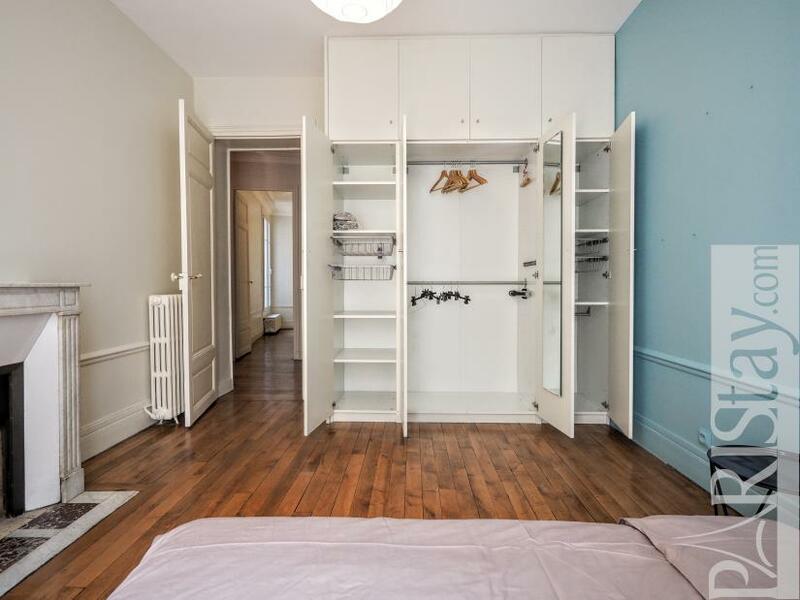 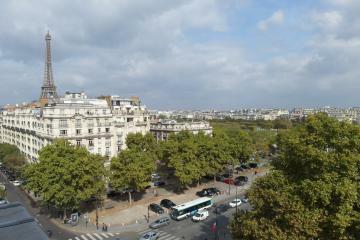 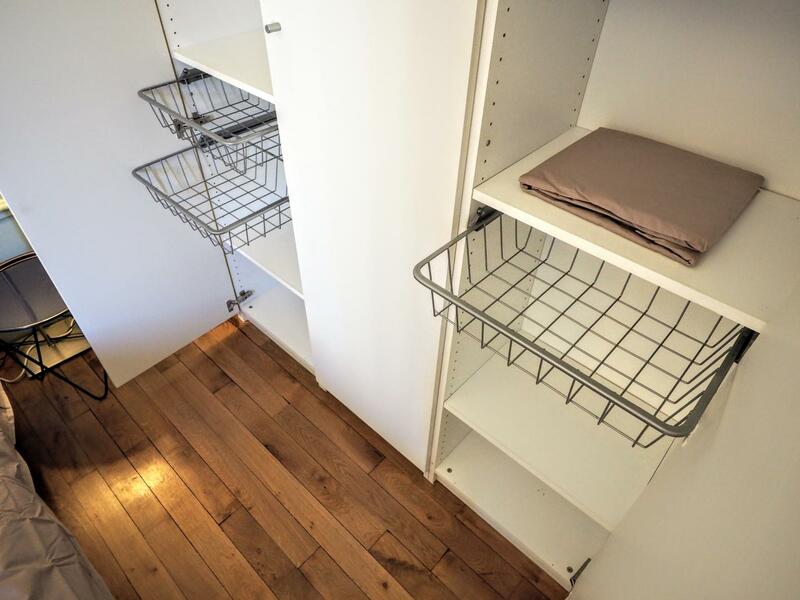 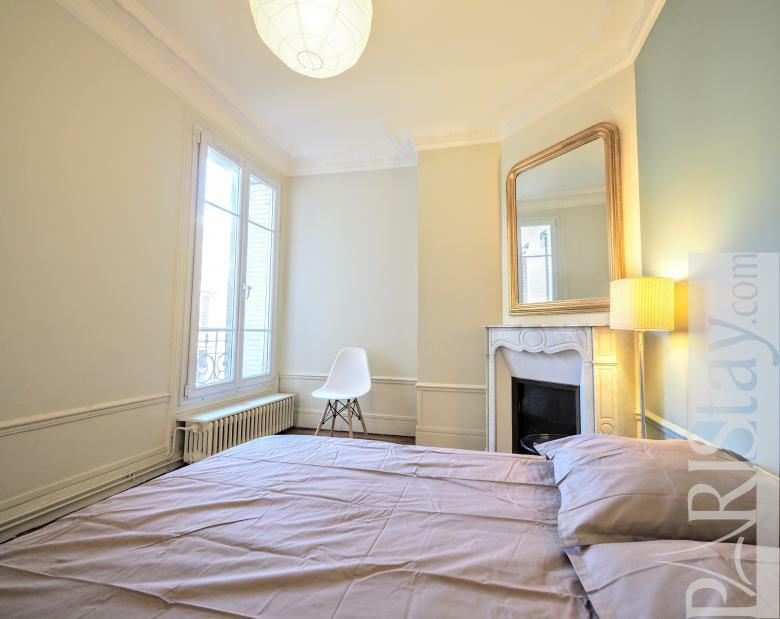 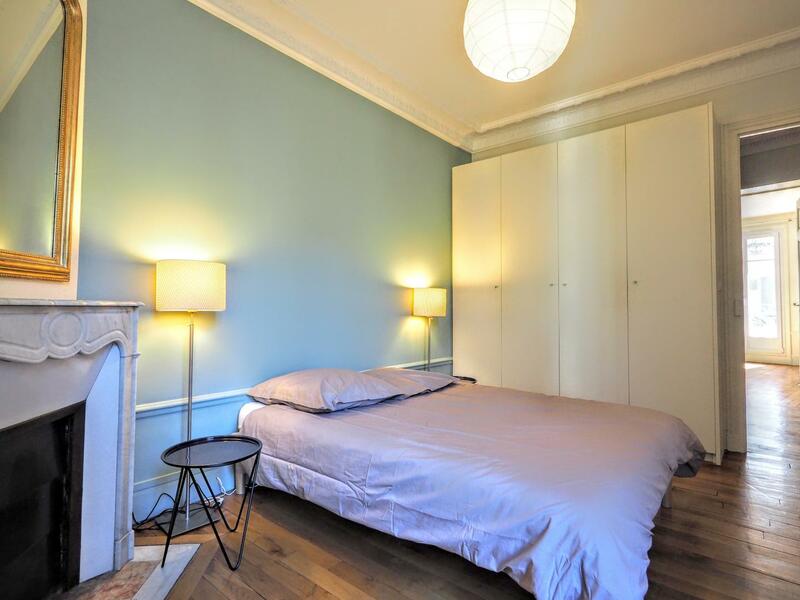 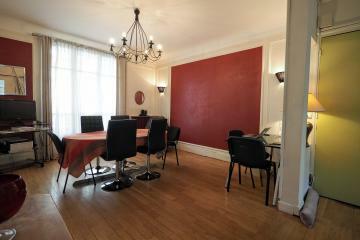 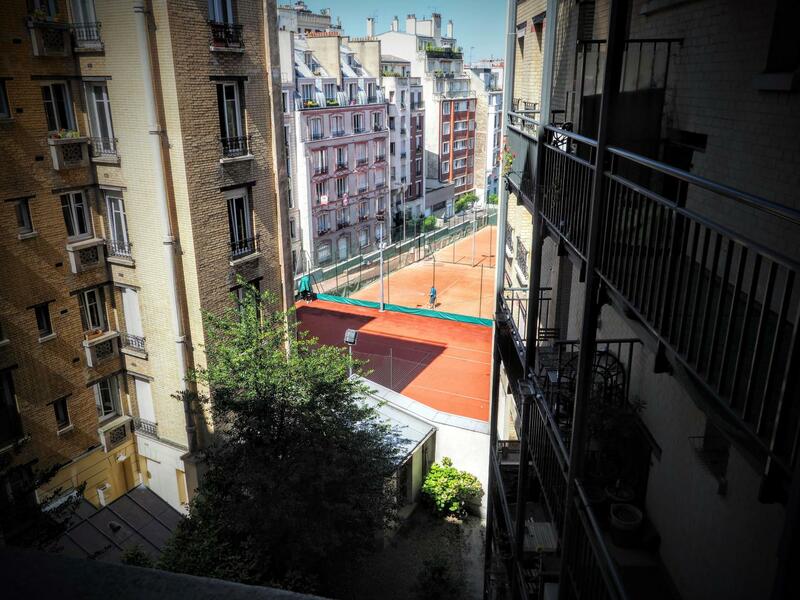 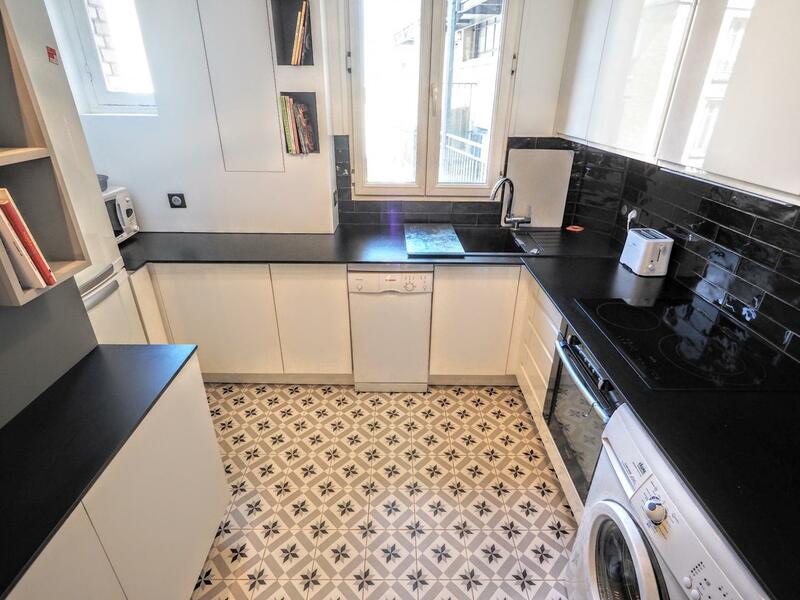 This apartment is available for long stay rentals in Paris. 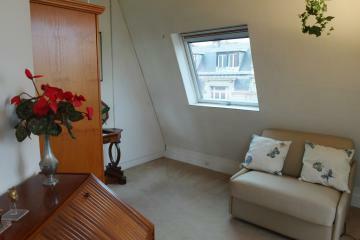 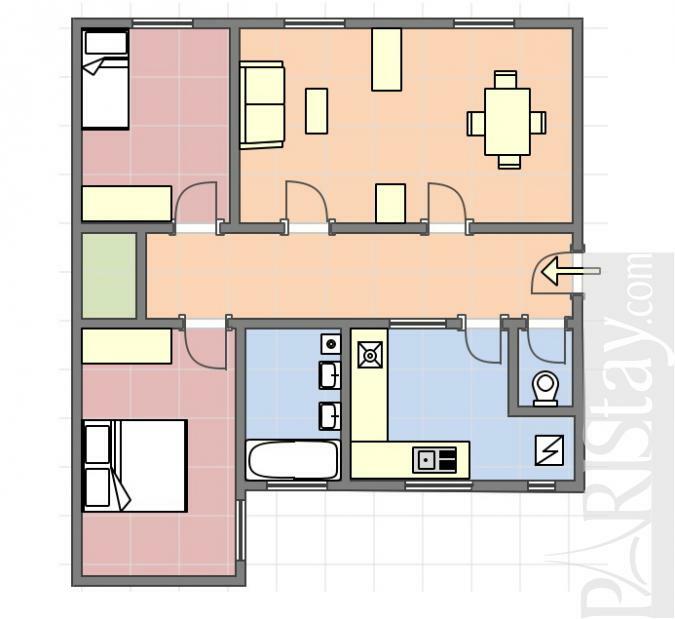 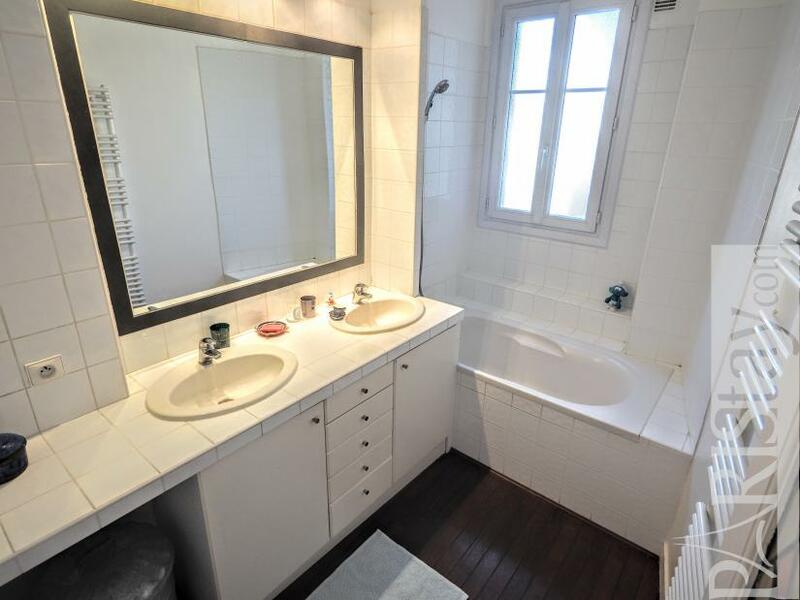 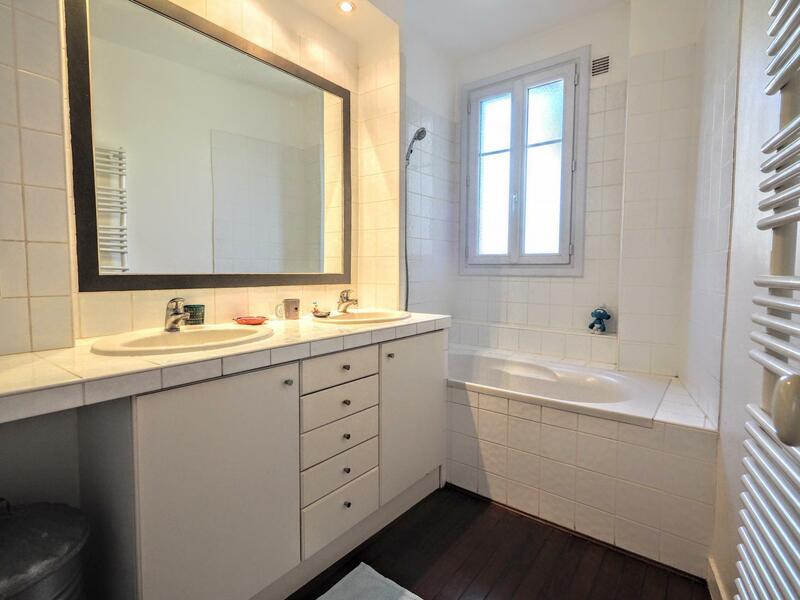 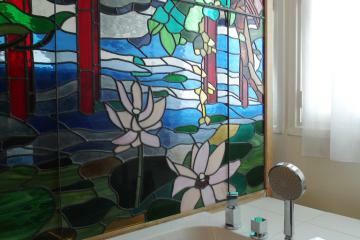 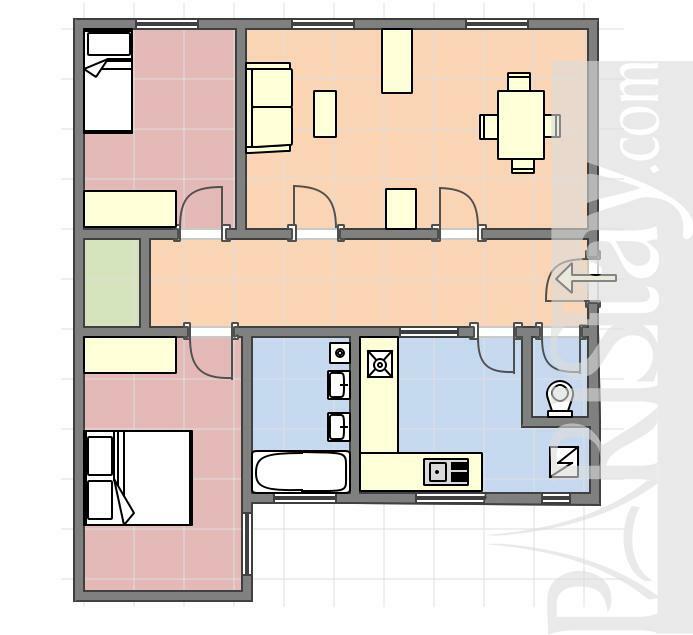 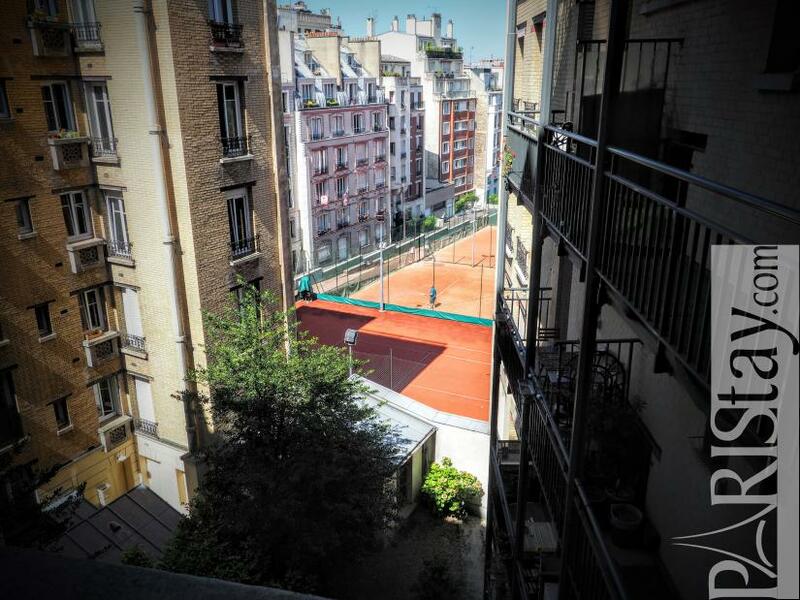 4 rd floor, with Lift, 2 bedrooms Appartement, furnished, Approx: 80m² / 860 Sq.Ft.